The NFL has toughened its domestic violence policy which could lead to a six-game suspension or a lifetime ban for a second offence. 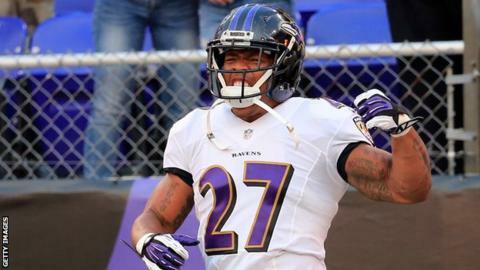 It follows criticism after Baltimore Ravens running back Ray Rice received only a two-game suspension in July for assaulting his then-fiancee. NFL commissioner Roger Goodell admitted the punishment was too lenient when revealing the tougher new policy. It applies to all NFL personnel and covers all incidents of physical force. Goodell said: "My disciplinary decision led the public to question our sincerity, our commitment, and whether we understood the toll that domestic violence inflicts on so many families. "I take responsibility both for the decision and for ensuring that our actions in the future properly reflect our values. I didn't get it right."